The Territorial Agenda, as well as the Lisbon and Gothenburg Strategies pointed out that the diversity of territorial potentials of regions in contributing to sustainable development, economic growth and job creation in the EU must be identified and mobilised. Not only metropolitan or major urban areas can significantly contribute towards the overall policy goals of these documents. 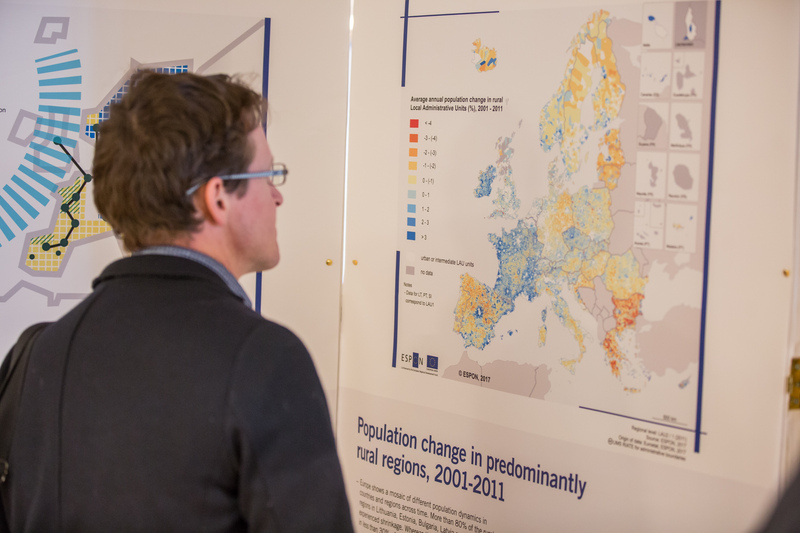 In fact, many regions outside these areas make major contributions towards the Lisbon and Gothenburg Strategies. Against this backdrop, the overall objective of this project is to provide a better understanding of development processes in territories outside the Pentagon that are defined as insular, mountainous, sparsely populated or peripheral. 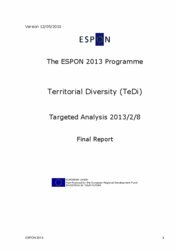 The analysis aims particularly at highlighting how these territories may contribute to the achievement of overarching European objectives expressed in the Lisbon and Gothenburg Strategies. 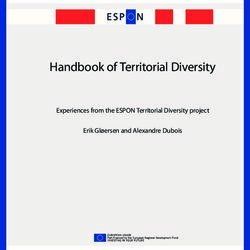 By focusing on a representative sample of such regions, the project will be drawing more general conclusions for territories subject to similar territorial specificities across Europe. Please read more about the main areas of analysis and main results envisaged on the next page. Nordregio - Nordic Centre for Spatial Development (Sweden). 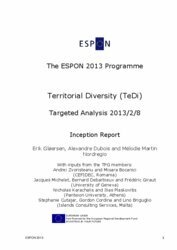 Identification of the particular territorial specificities that the territories under investigation (mountain, island and sparsely populated and peripheral areas) are subject to. Analysis of the chain of causalities between these territorial specificities and the constraints and opportunities they lead to in terms of facilitating economic and social development. Identification of the comparative advantages of these regions by emphasising their specific development opportunities, i.e. not shared with other types of territories. Investigation of the temporal change linked to the impacts of current macro-trends on these territories, highlighting their degree of vulnerability to external factors. Identification of the key levers available for future policy actions aiming to take full advantage of the specific potentials of the concerned territories and counterbalancing social and economic trends that could hamper or block development. 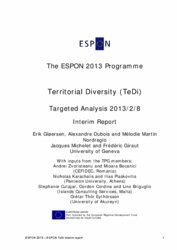 Categorisation of “TD regions” by degree and type of territorial constraint, as well as identification of European regions of which “TD regions” may act as a representative sample for further generalisation of the project’s results and recommendations. Dynamic typology of “TD regions” regarding their performance in relation to the Lisbon and Gothenburg Strategies. 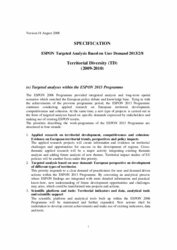 Elaboration of a synthesis report for each “TD regions”, addressing specific themes. Development of an index of thematic and global sensitivity for “TD regions”. Elaboration of individual case stories for each “TD region” and identification of key development leverages for each region. Synthetic policy document entitled “Road map towards Lisbon and Gothenburg”, compiling policy measures and actions improving the capacity of “TD regions” to achieve the goals of the Lisbon and Gothenburg Strategies.